To teach businesses and their workers about the relevance of vision wellness, and to provide advice on how to avoid vision-endangering eye mishaps, Prevent Blindness America (PBA) has designated the month of March as Workplace Vision Wellness Month. Every day, employees suffer from workplace related eye injuries that require medical attention. Safety experts and healthcare professionals say that the two most common reasons that workers experience eye injuries is either because they don't protect their eyes or they are using the incorrect kind of eye protection. Building, manufacturing, mining, carpentry, car and truck repair, electrical work, plumbing, metal welding and general maintenance are all high risk occupations for eye injuries. An eye care professional is trained to assist you to identify possible eye dangers at work and judge the best type of eye safety for you. Some workplaces possess multiple risks for eyes and using proper eye protection should take all potential risks into consideration. If you work with chemicals you should wear goggles, and if you work in a place where there are flying objects or dust, choose safety glasses that have side shields. For those who work close to dangerous radiation when welding, using lasers, or fiber optics calls for the use of special-purpose safety glasses, protective goggles with a face shield, or helmets made just for what you will be doing. Those who spend a large portion of their day working at the computer or using mobile devices are also at increased risk of vision problems. Learn the 20-20-20 rule which will allow your eyes periodic rest. At every 20 minute interval look at something 20 feet away for 20 seconds. If you're using a hand-held device, make the font bigger so you'll be able to use it at a distance more comfortable for your eyes. In addition try to keep the brightness of your monitor to a comfortable resolution and position your monitor right under eye level to reduce any pressure on your eyes. You may also want to speak to your eye doctor about computer glasses. If you think that you may be at risk of any eye or vision damage due to your workplace don't delay! 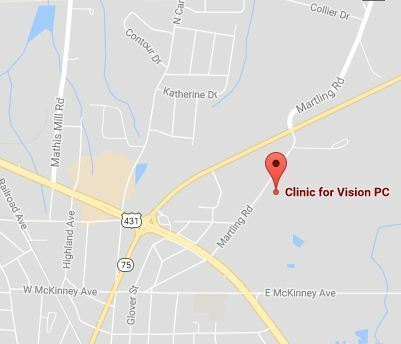 Give us a call to discuss the hazards and solutions for a lifetime of eye and vision health!